This is the version to own. I owned the 200 gram Japanese press and immediately sold it after hearing this version. Great mastering and a great pressing. 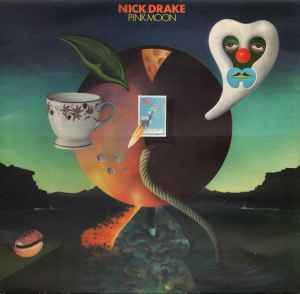 Another reviewer based his opinion about the quality on an album he hadn't heard before..which I find odd, and then summed it up to it being the way Nick Drake sung..lol. I cant speak to the newer press that isn't in a box, but I've heard it is not the same master and most likely a digital transfer. Do you really even have this album? And if so, what is the real condition of the album and the sleeve? Great pressing. I concur this is the one to grab. If you’re in the US, just order this from Juno on the cheap, it’s the correct version. This pressing is far superior to the UMe US pressing. The Notes previously listed for this release (6482587) were incorrect. In order to distinguish a true 1972 first UK pressing, the Notes needed to be fixed. You should also be aware there is also another 1st UK pressing listed for this recording (see release/1356775). The notes for this other listing are also incomplete, and it's confusing people who end up selling there at reduced prices. These two releases (1356775 and 6482587) look exactly the same and they need to be reconsidered as to which is the true 1st 1972 UK pressing. It's my belief, in fact, that they are the same, and therefore should be merged. Both have the same Matrix numbers, the same release date, the same label details. The only difference are the additions I which I submitted to the Notes for this listing above. Another similar testimony here. I first picked up the US pressing and it's complete garbage. Decided to take a chance on this pressing and wow... worlds better. Not dead silent but certainly near it, especially for such a quiet album. Very satisfied. This pressing is junk. Purchased today and had to return sadly. Matrix / Runout (B Side (stamped)): ILPS 9184 B-1U. The thing is i have a buyer who's worried about it being a bootleg or counterfeit because not sure about how the label looks. I have read that the bootlegs have no 1u on the matrix so baffling me a little. Im not out to try and con anyone just would like to try and work out if genuine or not. Folk / Folk Rock by Satchamo.